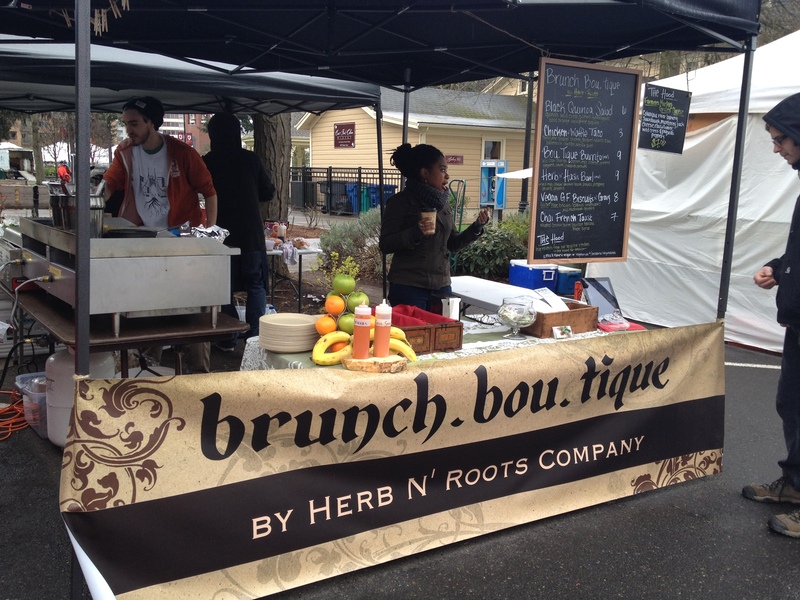 Strolling the Vancouver Farmers Market I spied Brunch.bou.tique by Herb N’ Roots Company. 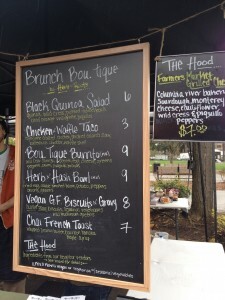 The menu promised creative locavore dishes, including a “hood” special sourced from the farmer’s market. Everything on the menu looked worthy of grazing, but I had to make a choice. I went with the top two items. 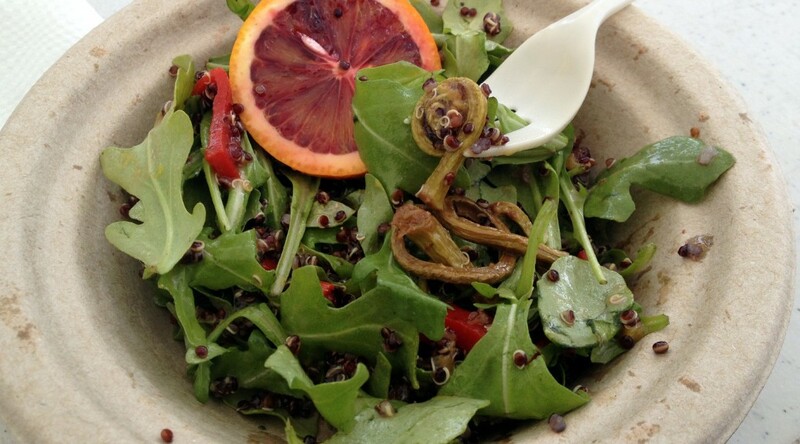 The black quinoa salad with pickled fiddleheads, piquillo peppers, wild cress and blood orange vinaigrette was amazing. I saw fiddleheads at one of the other booths, but I’ve never been able to cook them as well as should be done. Pickling them preserved their adorableness while adding a burst of flavor. 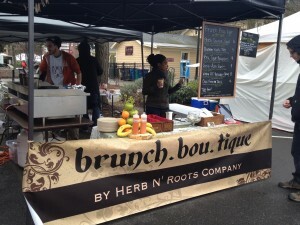 The quinoa was flavored by the vinaigrette and the entire dish was refreshing and delightful. 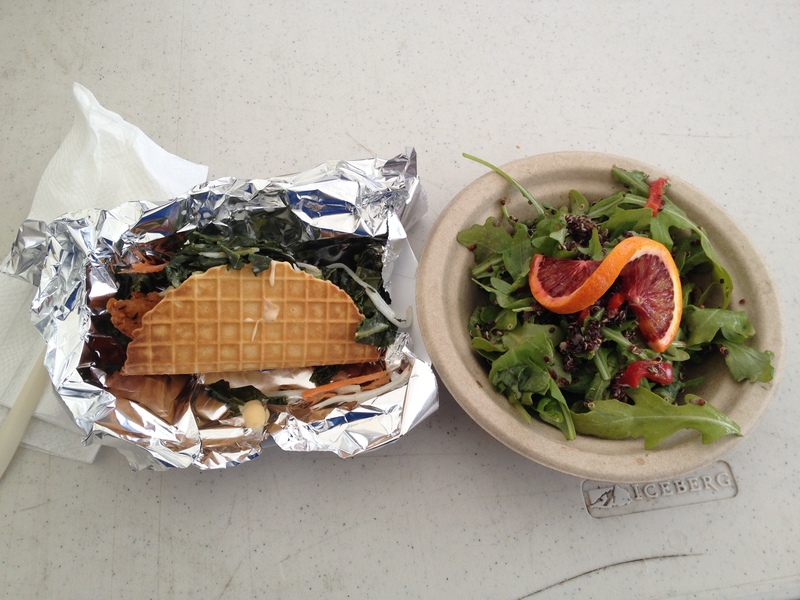 I ordered one chicken-waffle taco with smoked collard slaw. The buttermilk-cheddar waffle taco shell was crisp, while the cornflake-crusted chicken tender was exactly what I like in chicken. It was a fun taco, and only $3 I’m looking forward to stopping there every weekend when I visit the farmers market.